Books you won't find on this list: Republic of Thieves by Scott Lynch, Red Country by Joe Abercrombie, A Memory of Light by Robert Jordan and Brandon Sanderson, and all the other novels every red blooded fan is frothing at the mouth to read. I'd also point out that four of my most anticipated novels have already been reviewed on this blog: Faith by John Love, Empire State by Adam Christopher, Seven Princes by John Fultz, and Control Point by Myke Cole. Ahmed, already nominated the last two years for the John W. Campbell Award (for his short fiction), is an incredibly talented story teller. His debut novel, set in a world of djenn and ghuls, holy warriors and heretics, Khalifs and killers, is about a power struggle between the iron-fisted Khalif and the mysterious master thief known as the Falcon Prince. In the midst of this brewing rebellion a series of brutal supernatural murders strikes at the heart of the Kingdoms. It is up to a handful of heroes to learn the truth behind these killings. I offered to duel Aidan (A Dribble of Ink) for his ARC... he declined pleading Canadianism. I called Germline the best debut of 2011 because it was. I have high expectations for McCarthy's second novel. I've already got my hands on it, so expect a review before too long. This time around, the novel follows Catherine, a genetically engineered soldier. Fast, strong, lethal, she is the ultimate in military technology. She's a monster in the body of an eighteen year old girl. Bred by scientists, grown in vats, indoctrinated by the government, she and her sisters will win this war, no matter the cost. But, Catherine and her sisters can't shut off the part of them that wants more than war. She may have only known death, but she dreams of life. I've read the previous five books twice now in ancitipation of Sullivan's final novel Percepliquis. 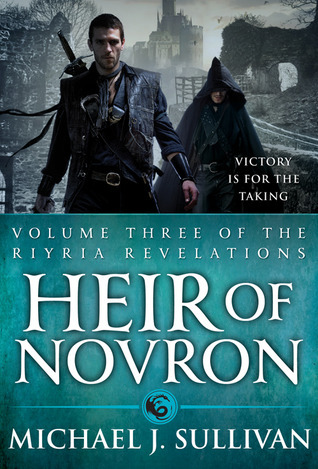 Released by Orbit in omnibus format, his six novels have been condensed into three with Heir of Novron including Wintertide and Percepliquis. I've been holding my review until the series is complete and I'm biting my nails to find out what happens. If you haven't started this series yet, you're missing out -- big time. The author is a funny guy, rivaling Sam Sykes for the most ridiculous tweets. 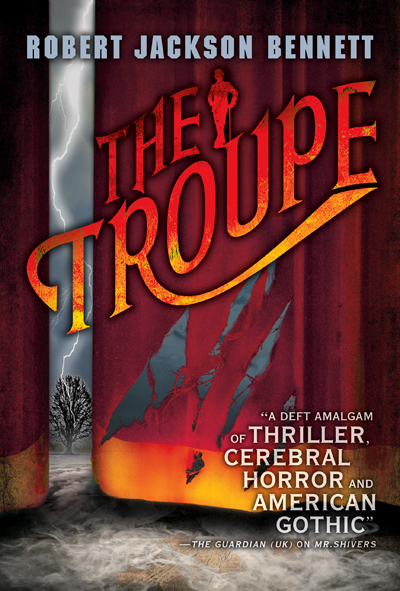 The Troupe is his third novel, none of which I've read yet. But with Night Circus and Mechanique both being so well received last year I can't help but want to know what this one is all about. George Carole ran away from home to join the Vaudeville circuit. Sixteen years old, uncommonly gifted at the piano, he falls in with a strange troupe -- even for Vaudeville. Under the watchful eye of the enigmatic figure of Silenus, George comes to realize that the members of the troupe are more than they appear to be. And their travels have a purpose that runs deeper than entertainment. In the hilarious tradition of The Hitchhiker’s Guide to the Galaxy, Rob Reid takes you on a headlong journey through the outer reaches of the universe—and the inner workings of the absurdly dysfunctional music industry. Ever since what has come to be known as Year Zero—when the smooth stylings of 1970s TV theme songs first reached alien ears—the universe has been downloading Earth’s music. Now they've realized that, according to the Copyright Damages Improvement Act, every single download will cost $150,000 in fines—in other words, all the wealth in the universe and then some. It would be far cheaper just to destroy the Earth. Ummm... they had me at hilarious. This sounds amazing and silly and I'll be soliciting Del Rey like Hugh Grant to get a copy of it early. 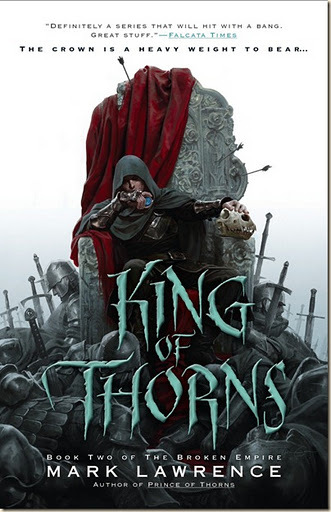 One of the more heralded (and occasionally torpedoed) debuts of 2011, Prince of Thorns was all kinds of gutsy (to steal a phrase from Sam Sykes). It's ugly, and dirty, and really interesting. In the sequel, a six nation army, twenty thousand strong, marches toward Jorg’s gates, led by a champion beloved of the people. Every decent man prays this shining hero will unite the empire and heal its wounds. Every omen says he will. Every good king knows to bend the knee in the face of overwhelming odds, if only to save their people and their lands. But King Jorg is not a good king. Pat over at the Hotlist put Beaulieu's debut, Winds of Khalakovo, in really rarefied air, calling it one of the 10 best novels he read this year. I didn't go that far, but it was a tremendously ambitious novel. 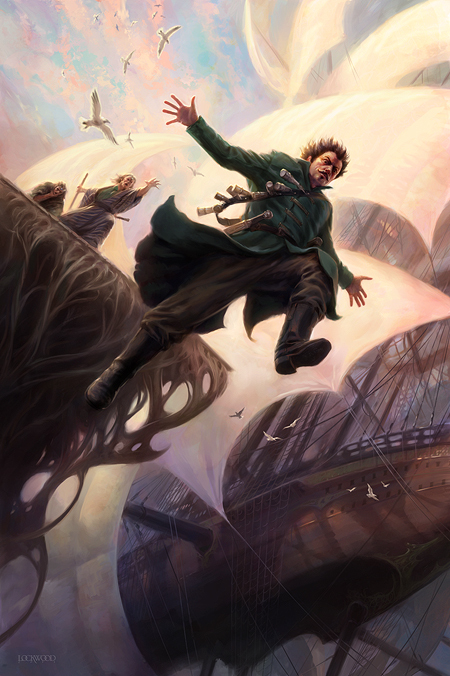 Despite some flaws in execution, comparable to those in Steven Erikson's Garden's of the Moon, Winds was a brilliantly conceived package. If Beaulieu can smooth out some of the storytelling hiccups in his second novel, he could be in for a Malazan Book of the Fallen like rise in popularity. If you look at the various catalogs out there from the major publishers you're going to see a lot of titles playing with global warming, resource depletion, and the like. 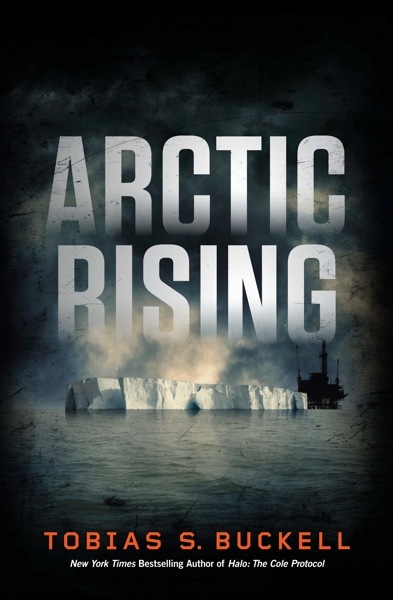 Arctic Rising is Tobias Buckell's newest novel and it stood out among the crowd of like-themed novels, largely because I haven't read Buckell yet and he's well regarded. Global warming has transformed the Earth, and it's about to get even hotter. Enter the Gaia Corporation. Its two founders have come up with a plan to roll back global warming. 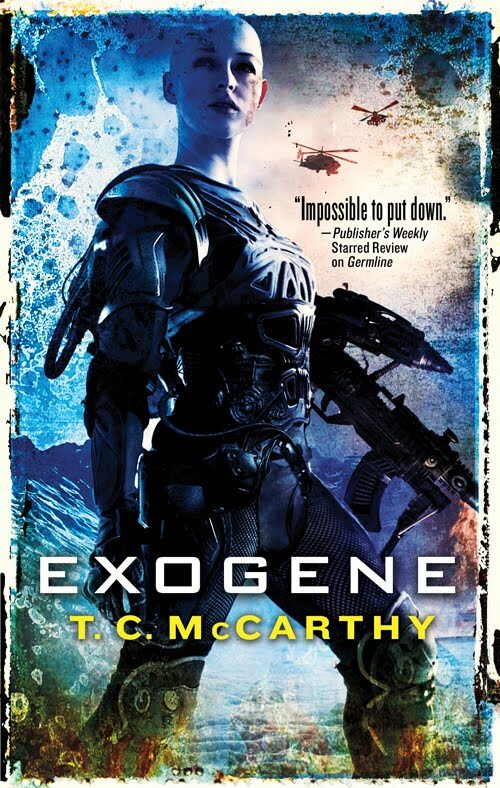 They plan to terraform Earth to save it from itself—but in doing so, they have created a superweapon the likes of which the world has never seen. Everything Daniel Abraham touches kind of turns into gold.... or at least really shiny bronze. The Long Price Quartet is one of my favorite fantasy series ever, and Leviathan Wakes was a very good space opera. But, his most ambitious work may turn out to be the Dagger and Coin series that started in 2011 with The Dragon's Path. In the sequel, the high and powerful will fall, the despised and broken will rise up, and everything will be remade. Beneath the notice of anyone a broken-hearted warrior and an apostate priest will begin a terrible journey with an impossible goal: destroy a Goddess before she eats the world. I was blown away by Jemisin's first published novel, The Hundred Thousand Kingdoms. Not so much by the plot or world building, which were solid, but with the strength of her voice and her clever use of psychic distance. With her first series completed in 2011, she's sold a new duology to orbit called Dreamblood. The first installment, Killing Moon, is set in the ancient city-state of Gujaareh, peace is the only law. Upon its rooftops and amongst the shadows of its cobbled streets wait the Gatherers - the keepers of this peace. When a conspiracy blooms within Gujaareh's great temple, Ehiru - the most famous of the city's Gatherers - must question everything he knows. I'm also really looking forward to Jon Sprunk's Shadow's Master and Douglas Hulick's Sworn in Steel, but I can't keep listing books forever. So there you have it. My 10 most anticipated novels that I haven't read yet or wasn't too tired to write another paragraph about. What about you internets? What are you looking forward to? And if you say Republic of Thieves I'm going to send you to Sam Sykes's blog. Not a bad list, Justin. I keep hearing good things about Ahmed, I'm hoping a review copy will arrive soon. Abraham - YES YES YES! I'd also add the second James S.A. Corey novel, concur with Paul on the new Reynolds, plus I'm excited that Michael Cobley's Space Opera trilogy will now be released in the US at the end of the year. I *know* I've neglected a few. Nice list dude. I'll be looking forward to hearing what you have to say about many of those titles. For me, I can't usually afford the hardcover/new prices, so I usually wind up waiting for cheaper copies. That said, I'll definitely be checking out The Wind Through the Keyhole when it hits stores. Aside from that, I'll be catching up on 2011 releases I missed out on. Cheers! Keep up the good blogging! BRE from Reynolds is an oversight as I've got a copy of that on the way and very much looking forward to it. I hadn't even heard of Bear's new novel until someone tweeted about its awesome on twitter today... Doug Hulick maybe? Ill say Lynch if I want to, damn it! And Abraham, and Ahmed, and there is another Cherie Priest Clockwork Century book coming out if these things can be trusted. Hadn't heard of YEAR ZERO before, but I think I'm going to have to put that on my list, for sure. The rest, of course, are a given. There are tons I'm looking forward to, to be honest - that's the trouble with reading publisher catalogues when they come out! 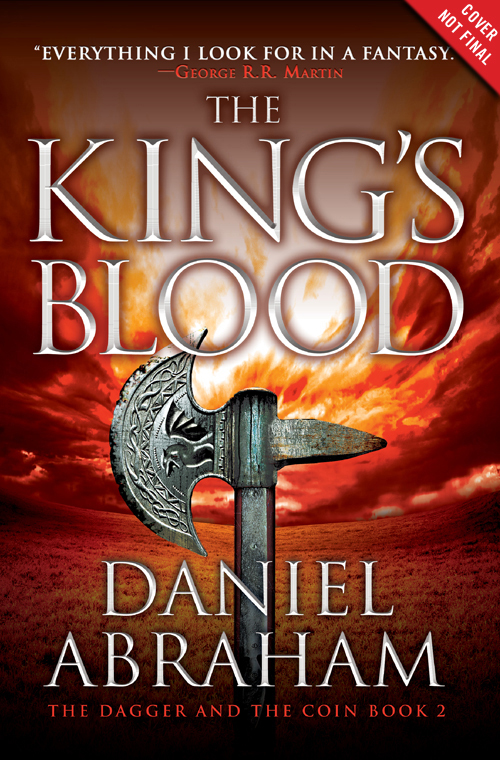 I'm really looking forward to "The King's Blood." I really enjoyed "The Dragon's Path," especially the parts from Geder's perspective, and I'm eager to continue with the series. I'm also very anxious to get my hands on "The Killing Moon." I love what I've read of Jemisin's stuff so far! I look forward to the The Games by Ted Kosmatka, a debut SF novel with an intriguing plot. That was on the list Richard, but I got tired and cut it off at 10. The Helix Game was on there too, which also looks interesting. 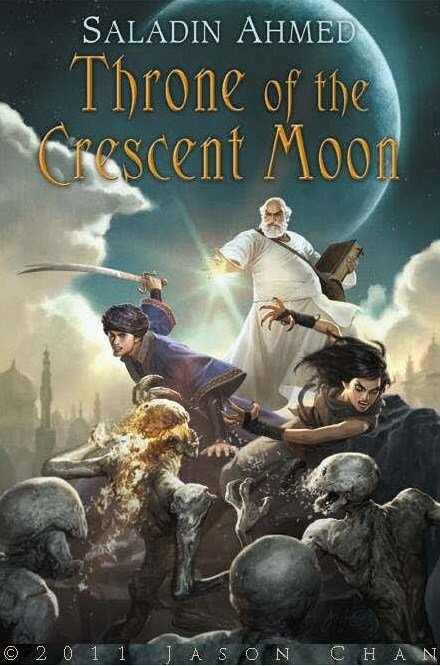 I'm very much looking forward to Lawrence's King of Thorns, and hoping to get a hold of a copy of the Ahmed's Crescent Moon as well. The rest of your list has me very curious too. and the unmentioned Lynch, of course. Apart from the new ICE and SE Malazan novels I'm really looking forward to the sequel to "The Passage" ie "The Twelve" by Juston Cronin. Should be a cracker! 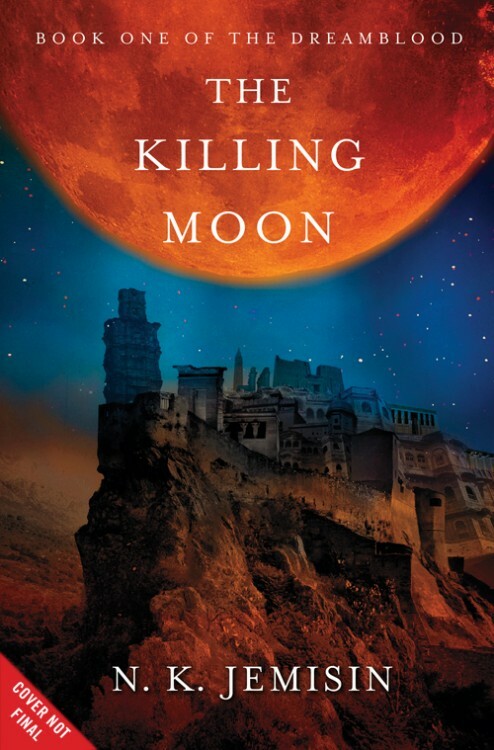 The Killing Moon was also on my anticipated list until I finished The Kingdom of Gods last night (see my review) ... what an incredible let down from an amazing two prequels. Now I'm not sure if I can gamble on Jemisin again.